and hands-on development of Earth skills. Rick Berry began with the Tracker School in 1986 at the age of 15, and has been teaching these skills for the past 28 years. After graduating with a B.S. from Humboldt State University in Arcata, CA, Rick honed his skills in the remote Klamath Mountain range where he immersed himself for 12 years in indigenous life-ways--passed on to him by Gary Morris who himself had lived with Yurok Elder Calvin Rube for 20 years. Later, Rick spent two years in the Pine Barrens of New Jersey as a care-taker for the Tracker School, refining his tracking and survival skills. Rick taught with both Jon Young and Tom Brown, Jr. through the Tracker School’s Coyote Camps, and moved on to serve seven years as Director of The Children of the Earth Foundation. 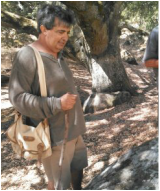 Today, Rick lives in the Sierra foothills of Northern California where he shares dynamic teachings and philosophy of living as one with the Earth through 4 Elements Earth Education and its Fox Walkers program for school-aged children. ​ In 2019 Rick was asked to be the Executive Director of The Children of the Earth Foundation; Rick will oversee COTEF under the 4EEE west coast non-profit umbrella. ​Juan is an Elder of the Southern Lipan Apache people who connected with Rick in 2007 through the Tracker School. Passionate about keeping the old skills alive, Juan brings a unique indigenous view-point to every educational experience. Whether he's helping lead 4EEE programs or teaching classes through his own organization, Juan serves as a gentle guide, helping people create sacred relationships with the land and life, as a care-taker and healer. A sister organization to 4EEE, Juan's Sacred Wind Earth Teachings program is located in Alice, TX and is dedicated to helping groups and individuals learn, share, and teach ancestral, holistic ways of living. Following a lifetime of epic adventures in human and wilderness cultures, Scot Woodland brings his passion for life and exploration to the 4EEE team. His extensive background in naturalist studies, animal and human tracking, wilderness living skills, disaster preparedness, organic agriculture, and masonry combine with a love for connecting with people and environment through storytelling, music, and inquiry. Tracking is one of his major skill sets that he loves to share with students. For him, tracking is all about cultivating awareness - employing the arts of observation, intuition and questioning to reveal the great mystery of nature in all its forms. Scot trained in tracking through many organizations, including: the Tracker School, Universal Tracking services, and Fernando Moriera’s Professional Tracking program. He is a certified level 3 tracker with the Cyber tracker program, and has been a leader on Nevada County’s Search and Rescue tracking team. Currently, Scot teaches youth and families through 4EEE's Fox Walker program. Pashu grew up playing in the out-of-doors, learning wood working skills, camping, hiking and fishing. As a child he also learned bow making and leather work from a Choctaw-Apache elder named Long-Trader. In 2007 he attended the Tracker School and is highly passionate and self motivated in working skills and dedicated to passing on the old ways. His passion for the skills shows in his hand made bows, arrows, baskets, buckskins, stone and bone tools. 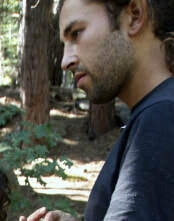 Pashu holds a deep respect for nature and loves teaching the sacred old ways skills to anyone that is willing to learn. 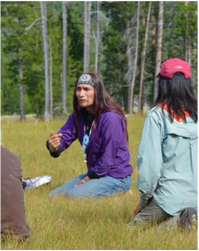 Currently , Pashu Lives in Oregon at the Sharpening Stone site, and joins us for longer immersion programs with Families and Teens and runs adult survival skills workshops with 4EEE as well. Ramsey has a natural gift for connecting with people and uses that talent to create an infectious enthusiasm for getting outside and playing ones heart out. His approach to education sees both teacher and student as part of a collaborative inquiry. For him, Earth Skills are about rekindling something primal within ourselves, awakening a resilient skill set and caretaker mindset - becoming fully human in the process. He strives to develop and share a well-rounded foundation in physical survival skills, tracking, natural movement, awareness and philosophy. Ramsey has been an instructor with 4 Elements Earth Education since 2012. He’s trained intensively in outdoor survival and tracking through the Tracker School starting in 2010. He is interested in traditional ecological knowledge, community resiliency, martial arts, cross-cultural connections, meditation and writing. Abby is a lover of the wild and long time teacher and mentor of youth. Originally from Pennsylvania, she moved West looking for her mountain home, which she has found in Nevada County. She has resided here for the last 9 years, developing her relationship to the land and supporting others in growing their connection. She eagerly shares her love of nature, adventure, earth skills, movement and personal development with the youth she serves. Abby studied at the Tracker School in 2017. She studied plants with Tellur Fenner of The Blue Wind School of Botanical Studies (2016) and Kathi Keville of the Green Medicine Herb School (2018). She graduated from the University of Pittsburgh with a Bachelors Degree in Philosophy, Minor in History. She received her Single Subject Social Science and Multiple Subject Credentials from Humboldt State University. She has been a lifelong student of nature, hiking, camping, snowboarding and fishing from a young age. The field behind the home she grew up in is one of her first teachers. She honors all of the teachers along her path that have supported her journey thus far. Instrumental in developing our relations with the Pata Panaka Village site (at Burton site owned by the BYLT) and our main site of weekly Fox Walkers nature programs, Grayson Coney grew up hunting, fishing, tracking, and learning the old ways from his Elder teacher "Gus". Grayson guides Instructors and Fox Walker youth in sharing the story of the day, teaching a lesson, story, through hands on Earth Skills. ​many levels to our program. ​Geoff has studied with many survival arts teachers, first inspired by his high school teacher and then Tom Brown Jr. and the Tracker School. Geoff studied with Frank and Karen Sherwood through their Primitive Living Apprenticeship in 2008. Geoff instructs at various "Ancestral Arts" gatherings as well as with 4EEE and the Fox Walkers, where he brings his passion of Rock Tool making and love of working with youth. ​Sara Raskie has been instructing at Fox Walkers for 4 years. She loves teaching, learning, playing, growing and loving Nature with the young ones! She is the mother of one college student, and is blessed with many grandchildren through her partner Tony! She is Ojibwa, lives in Nevada City, and when not at Fox Walkers, farms using permaculture methods, teaches classes on wellness, and works with food and medicine plants. 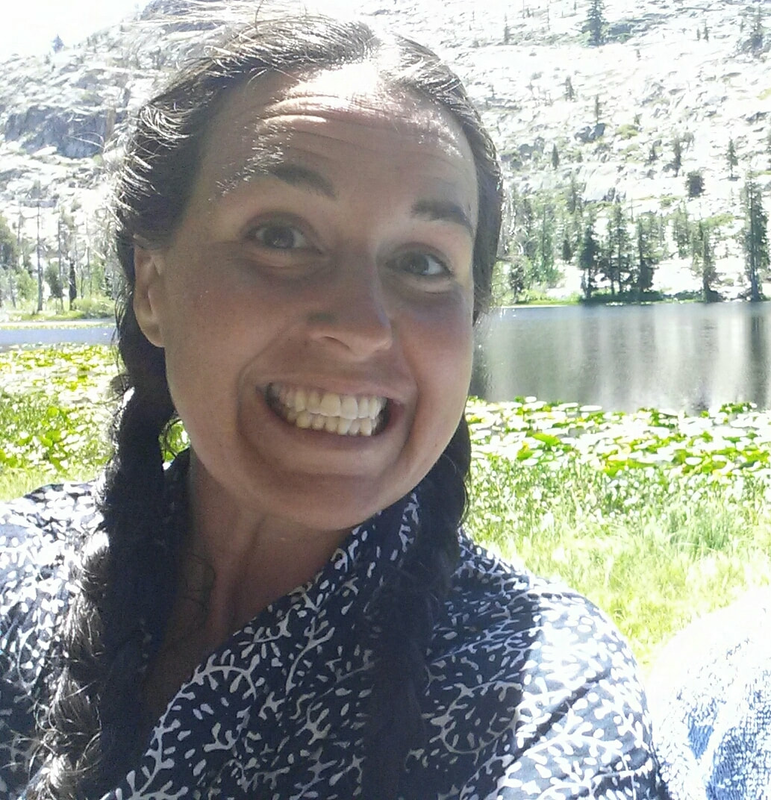 She loves hiking, biking, swimming, care taking plants, hot springs, backpacking- anything to be immersed in Nature! She is passionate about inspiring young people to deepen their relationship with Earth, Wind, Water, Fire and empower themselves with learning everything possible about the natural world and our place in Creation. ​Tony H. Cervantes (Chichimeca) has been working for over 45 years to protect and restore Indigenous relational constructs supportive of people, families, clans, Tribes, communities and Nations and the sacred relationship with the unseen world and all of Creation. Tony is retired from the State of California. After retirement he worked for Sierra Native Alliance and Shingle Springs Rancheria. He is trained in all White Bison, Positive Indian Parenting, Fatherhood/Motherhood is Sacred, Anger Manager and GONA curricula resulting in Cultural Revitalization, Leadership Development, Indigenous best practices, Wellbriety Community Development, Indigenous Addictions/Mental Health prevention/treatment and the Grieving Cycle. Indigenous Traditional Knowledge Systems, the Medicine Wheel and the behavioral components of addictions inform work focused on emotional, mental, physical, behavioral, social, volitional and economic wellness change. He currently lives with his partner Sara in Northern California’s mountains, has seven (6 bio) adult children and eight grandchildren. 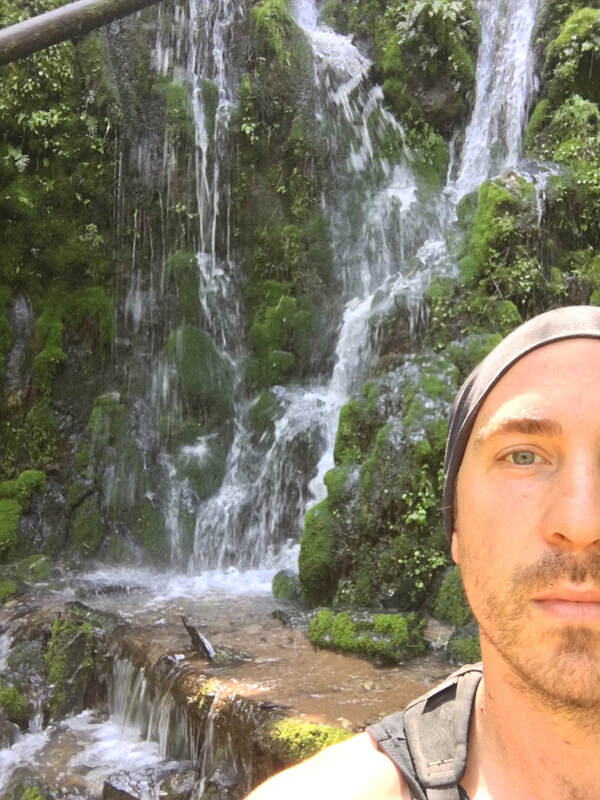 Tony enjoys being in nature and living sustainably, locally, organically, seasonally through perma-culture farming and wild harvesting medicine, cultural materials and food, road & mountain biking, kayaking, hiking & backpacking, hot springs, rivers and Indigenous ceremony. He and Sara currently provide workshops and farm 2.5 acres using perma-culture practices. They also provide consultant services, including with the California Conservation Corps Back County Crew Orientation training week. He deeply believes that living locally is key to bringing us closer to our original ancestors, tonantzin, ehecatl, atl and xieutecuhtli. "I remember drinking water directly from streams, rivers, creeks and seeing thousands of monarch butterflies in all stages of development at one place. What have we done?"